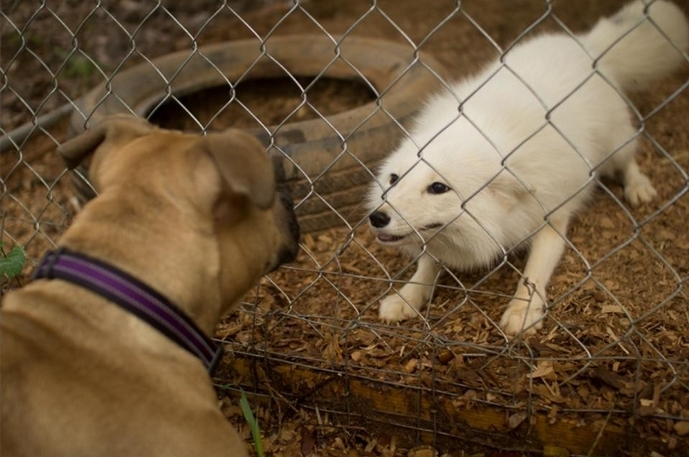 When Soul, a young white fox cub, met the other foxes at his sanctuary, he didn't quite fit in with the pack. "He's very social, but none of the other foxes like him. He comes on a little strong when he meets new people. 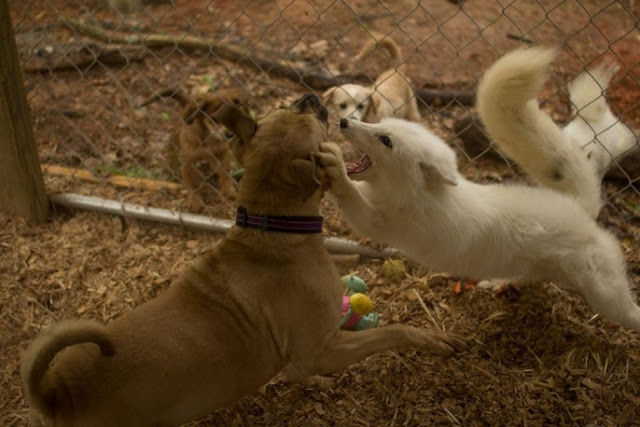 He gets way up in their face and wags his tail," said Maxine Baird, director of Georgia's A New Hope: Animal Sanctuary and Educational Center. "We usually keep the dogs separate from the wildlife," she explained, "but we thought maybe it would be a good idea to introduce him to the dogs." 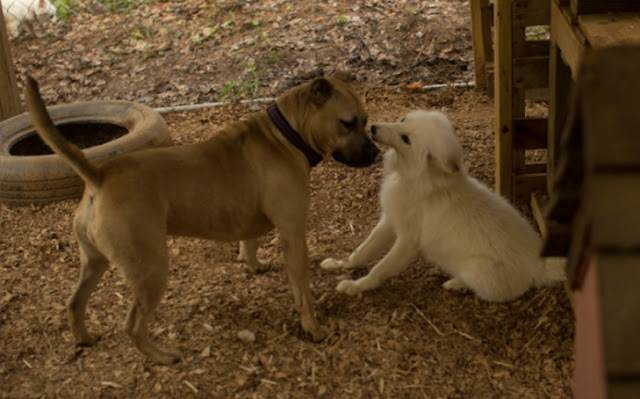 They brought in Home Girl, one of the dogs who lives at the sanctuary, to meet Soul through the fence. "Soul was so excited — wagging his tail and jumping at the bars — that we decided to let them meet in person," Baird continued. "As far as foxes like Soul, he couldn't survive in nature. He's too friendly." That's why A New Hope plans to keep Soul for the remainder of his life. "We do hope to get him another friend fox in the future. We just have to find one to put up with him." And that's good news for Soul, who got a rough start in life. He was born in a facility that breeds foxes for various industries, such as fur. As a young cub, he was sold to a woman as a pet. 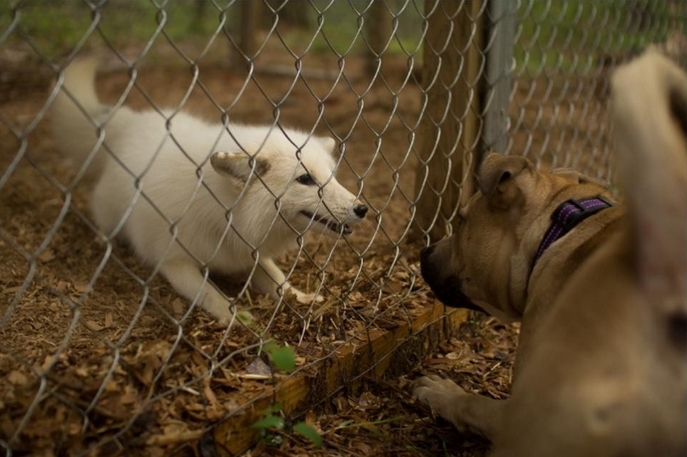 When a court ordered that she give up the fox, she drove him from her home in Ohio down to Georgia, so he could live out his life at the sanctuary, according to Baird. "He could've easily been a fur coat," Baird said. Instead, he's in a small town in Georgia making one of his first real friends, who just happens to be a different species. Responses to "Rescued Fox Rejected From Pack Makes His First Real Friend"